In honor of the birth date of our dear friends from the North (and keeping the tradition alive of being at least a day behind relevance) I would like to present all Canadians with this special Canada Day gift. It is the best kind of gift, homemade and from the heart. BV is proud to present The Mural of Canadian Excellence in the Field of Athletics. From the Great One to a Masters champion, from the Hitman to Hargreaves, from league MVPs to all curlers, and of course Pierre “The Dunk Shot Machine” St Moosechard, the Great White North has given us many special competitors on all the fields of play. So once again, happy birthday Canada. We are all very proud of you. You don’t have to be even a little bit Canadian to get boosebumps from that. 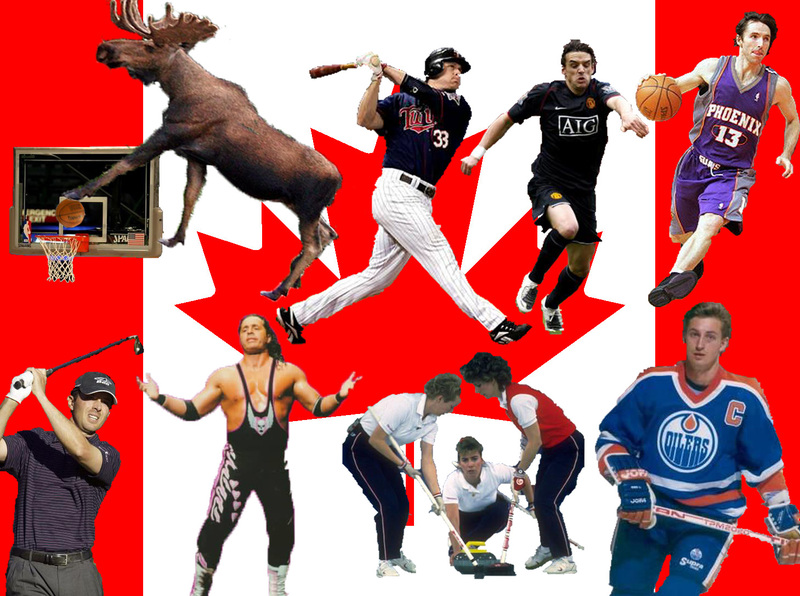 This entry was posted in beavemcqueen and tagged bullshitting, Canada, Canada Day, Moose Dunks, morneau for the win, yeah ladies i photoshop. Bookmark the permalink.